Arduino 101 board and Curie module both cut by Intel. Intel has revealed a major scaling back in its hardware offerings. The company has announced it will stop making its Arduino 101 board, as well as the Curie module, both of which offered low-cost computing solutions. Anyone looking to get their hands on the Arduino 101 has until September 17th to order one, with Intel confirming it will fulfill orders through til December 17th this year. As for Curie, it will be available until January 17th next year, with fulfilments continuing until July 17th 2018. The Curie Open Developer Kit will no longer get updates, and the forum will be open until September 15th. After that, it will be a read-only place until June 15th 2020. Intel’s GitHub, however, will remain available. Speaking to The Register, Intel said it is currently looking for someone else to manufacture the Arduino board. "Intel remains an enthusiastic supporter of the maker community and maker mindset. We will continue to support tomorrow’s makers through education and community outreach programs such as Maker Share." It’s just that Intel won’t be the one building it. 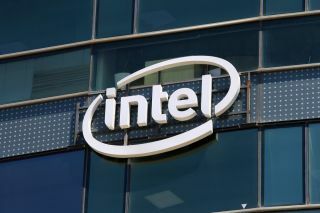 According to a Gartner analyst, this might signal trouble for Intel’s New Technology Group. These products fall under the NTG, which was formed in 2015. "There have been a lot of changes in that group," Gartner’s Mark Hung said. "The future of the New Technology Group may be a bit uncertain now." According to Hung, Intel "really has not made much of a dent in the consumer IoT space."